Brazilian President-elect Jair Bolsonaro has suffered his first defeat since winning the second round of the national elections last month, and reversed course on a number of controversial announcements he made recently. 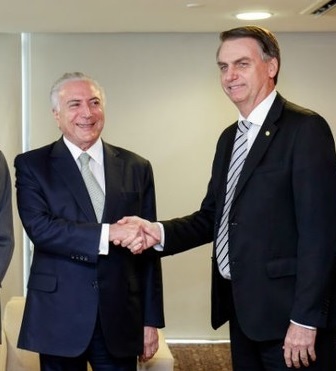 Fresh off his election win, Bolsonaro had pledged to remove the Ministry of Labor and replace it with a presence in the Ministry of Economy as he prepared to announce the new government, expected by January. He had also wanted to merge the Ministries of Agriculture and Environment. He has since backed down on these decisions following a public uproar. Even before winning the second round of the presidential election, Bolsonaro was making statements and promising policies that many viewed as politically incorrect. Bolsonaro views himself as the political leader who will do away with crime and corruption; his position as the law-and-order candidate won him raves with the electorate. But he has also made controversial statements. “His high name recognition was earned by making outrageous remarks disparaging blacks, natives, women, and the LGBT community, and his unpopularity is increased by his calls for intervention by the armed forces and his idolatry for the military, praising infamous characters of the former regime, including Colonel Carlos Alberto Ustra, who had personally tortured Ms. Rousseff and many others with electric shocks and beatings,” writes Patricia Barbeyron, a strategic affairs consultant. In recent weeks, Bolsonaro had vowed to scrap the Paris Agreement on the environment but was forced to walk back his statements after regional allies warned of such a measure. And his comments to move the Brazilian embassy from Tel Aviv to Jerusalem – the US is the only other country to commit to this move – has already led to the cancellation of visits of high-level Brazilian diplomats to Arab capitals, such as Cairo.